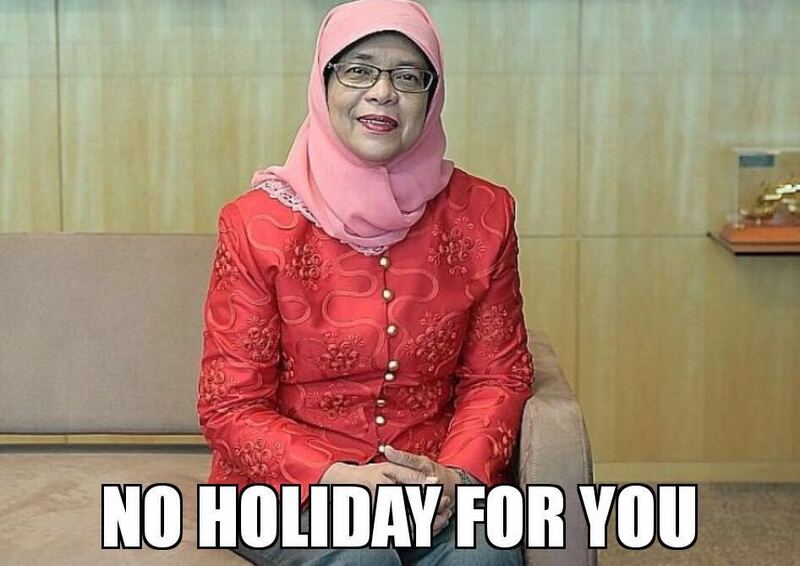 It is unfair that Halimah is going to be President without a fight. ~ Smithankyou - Lifestyle and Travel Photo Blog. It is unfair that Halimah is going to be President without a fight. 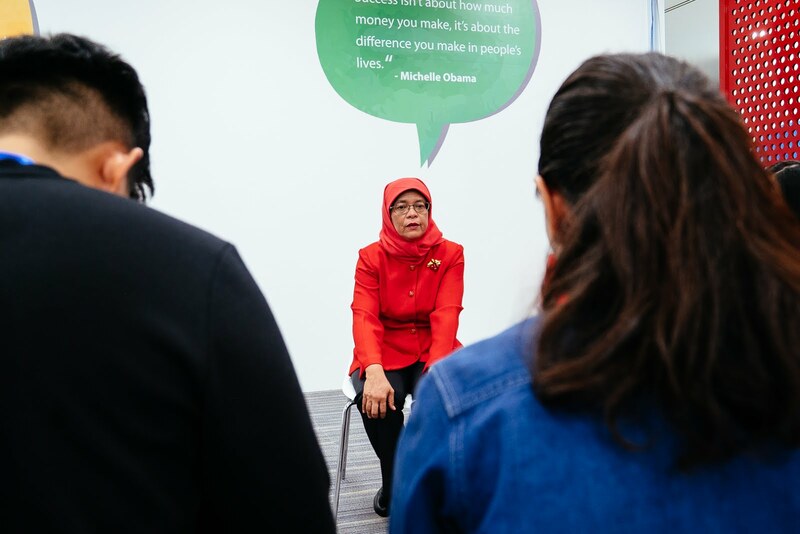 A picture of Mdm Halimah from my recent session with her representing Unscrambled.sg. How should I start this post? It's (almost) official now. Mdm Halimah is the only president hopeful that qualifies for the position. After weeks of mulling over if she should run for presidency, ironically, now it seems like the dust has finally settled and we are having our very first elected Malay president as well as very first female president. Jokes aside, my next thought? I'm pretty sure you've heard or read somewhere about how this whole reserved presidential election came about. If you are living under the rock, the great conspiracy can be summed up with one hashtag – #TanChengBlock. Much has been said online about this great conspiracy. As much as our government has done all they could to explain why having a minority president is very important, the timing of it occurring is just too much to be a coincidence, and of course, people choose to believe what they want to believe. With that established, besides Mdm Halimah herself, two other presidents hopefuls – Farid Khan and Salleh Marican have stepped up to answer their calling hoping to become our next president. Both of them are independent businessmen who have contributed to our society in their own ways with their own merits. So what is the problem here? The Internet has pointed out several loopholes and unhappiness with this presidential election. From questioning Mdm Halimah's race, to the fact that why was the constitution amended for this election. How is this fair for any of us? 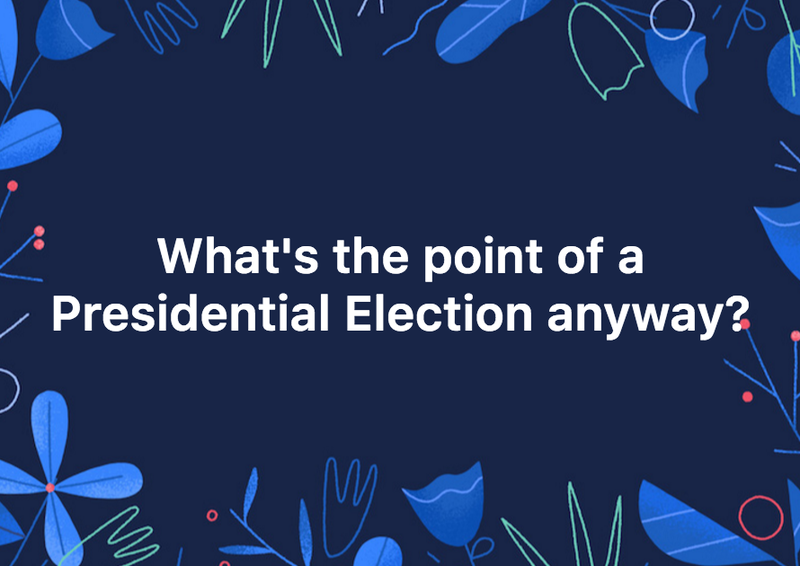 Minutes after the news was announced that the other 2 president hopefuls did not qualify, both my Facebook and Twitter feed were filled with nothing but anger. 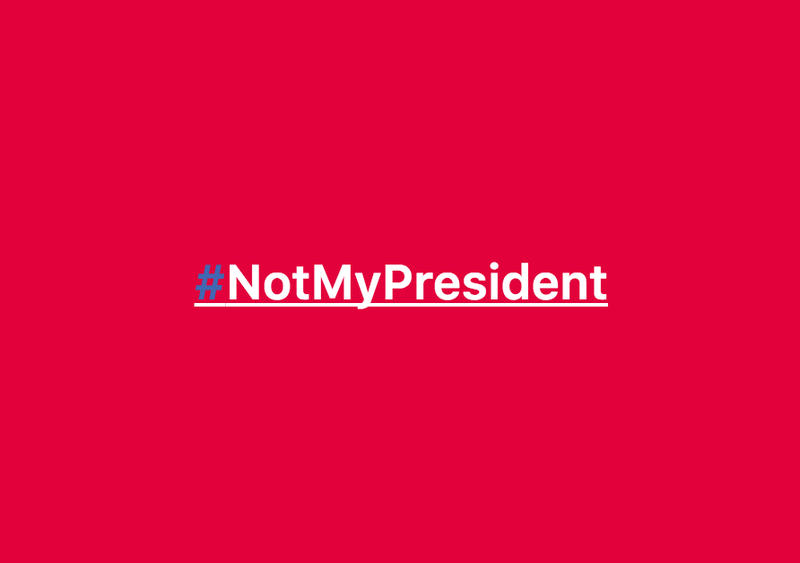 And the hashtag #NotMyPresident might even being trending again but this time in Singapore. It seems like nobody feel that this is a fair election. I do not even need any listening tools to tell me that people on the ground are unhappy. Just take a look at your Facebook and Twitter, and you will see it. I asked myself these questions from the very first day I started following the president elections. Does it really matter if this election is reserved for Malays? 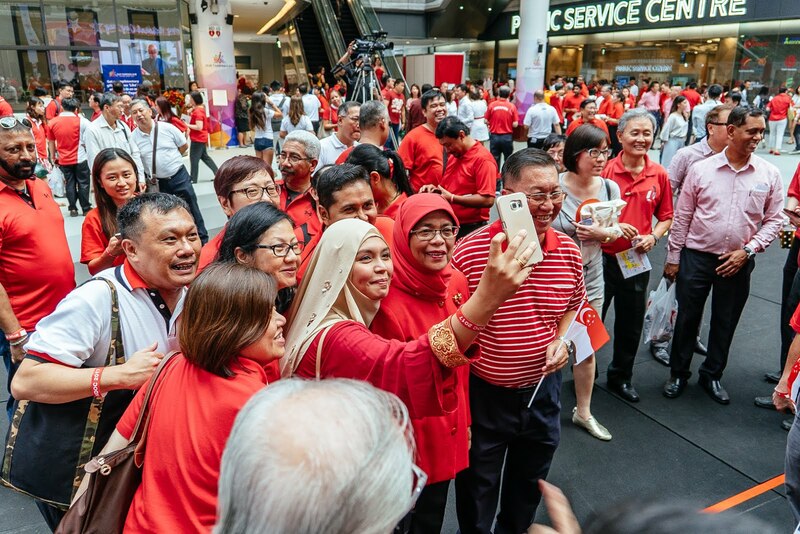 Will Mdm Halimah really lose to the other two president hopefuls considering how she has been contributing to the nation and has been a familiar face in local politics? I've always been someone who is pro-Singapore. As much as how I am happy with how our leading party is running the country, I do think that we need good alternate voice in the parliament. Do her merit and effort over the years mean nothing just because of this PE? Would her legacy of member of parliament, speaker of parliament and even minister of state, be watered down to nothing but hate? I see that people are angry, but are people angry with her or with how this PE was being run? I don't have all the answers. Not yet at least. But I did get some answers when I was at the recent National Day Observance Ceremony held at Our Tampines Hub. I know the people love her. People were crowding around her taking pictures with her and giving her words of encouragement. People were swamping her in waves to take pictures with her. Despite the long duration of the event and a tight schedule, I could see that her assistants were trying to get her moving but she did not even say no to anyone on the ground. Is that something someone would do if she knows she is definitely going to win anyway? I soon found myself sitting across her in a room with no more than three other publications. She was this tiny motherly lady talking to us. I could tell that she didn't know what to expect and was feeling a little jittery at first considering the fact that we are not mainstream media. We all know how things can go down south really quickly with online publications these days. I was wondering how is she going to represent Singapore. I was wondering how is she going to convince everyone she is worth it if she becomes the president. I was wondering how she is taking all these online flak about her and still smiling in front of us. How are her kids dealing with all these things happening around her? I'm sure their friends, co-workers, and even neighbours will be asking and saying things isn't it? Was I wondering if she is really Malay? To be honest, I would be lying if I said I didn't but I let that going pretty quickly after talking to her shortly. What I learned is that she is a Singaporean and one that cares, one who would sacrifice herself in more than one way to serve Singapore and the people. Those are all uphill tasks. It's not going to be easy at all. So why put herself in such a difficult position? Does it all voice down to her passion to serve the country? It's a huge sacrifice she is making isn't it? Even if people who wants to throw shade at her about taking a huge president pay, my question is, is it really worth it? We don't see our president shopping at Ion Orchard, not like she is going to buy a Ferrari to drive around town with those money without people throwing her even more shade. So what is in for her? As much as she was worried with the type of questions we could have for her, I was just as worried to ask her any of those questions above. #GirlBoss and I ended up with an important question (amongst other questions lah) of what is her favourite food. Whatever the case is, it seems like nothing much is going to change between now until the swearing-in ceremony. Will she be able to win over skeptics and demonstrate her credibility like the previous presidents? There might not be much of social media when late president Mr. SR Nathan became the president but from what I remembered, he too was a "elected" president, but eventually he did his part and was well-respected and well-liked as a president isn't it? Although Mr. Farid and Mr. Salleh did not become our president, I do hope to see them keep up their passion to serve Singapore. I've seen quite a fair bit of interviews and articles about them and believe that they are good people who want to serve the people and country as well. Who knows? Given their experience in life, they can be some sort of a consultant as well? Or at least, try not to be like the previous candidates who lost and became a Facebook comedian. LOL.